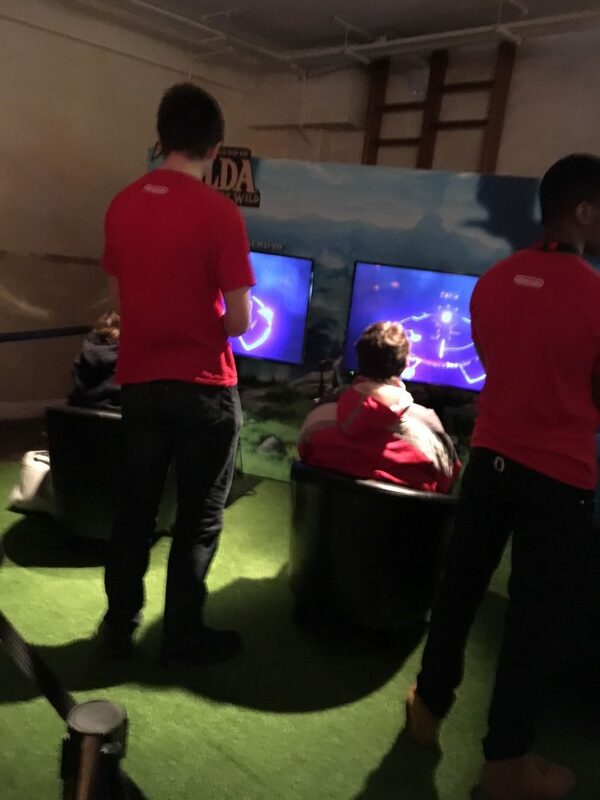 Earlier today, I visited the London Nintendo Switch preview event. 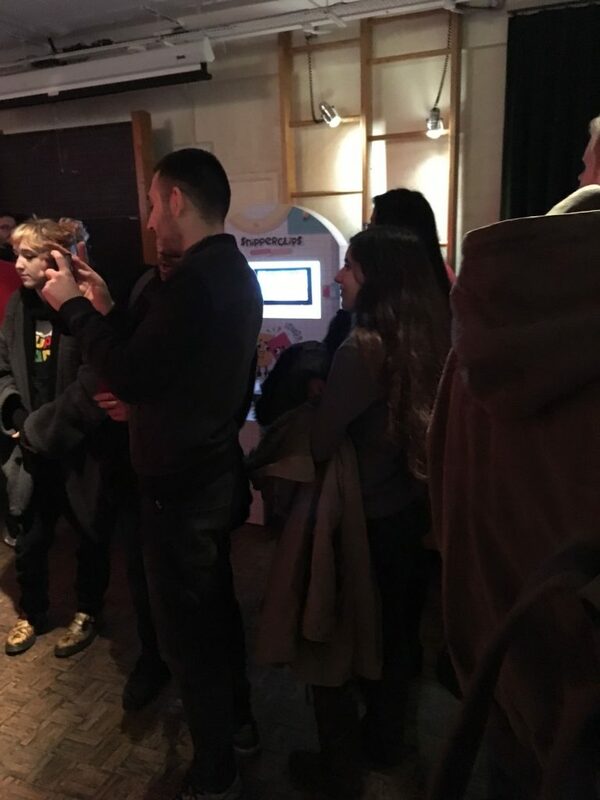 Set in the Tanner Warehouse in South London and hosted with 2 hour sessions, the event let Nintendo fans try out various Switch games a week prior to their official release in the region. And being the dedicated Nintendo fan I am, I decided to attend. So here are my thoughts on the event, the games I played there and what Nintendo Switch I may decide to buy in the foreseeable future! So first things first, what did I think of the event itself? Well for the most part, it was pretty good. I mean sure, it wasn’t exactly some big fan fest like at Comic Con or EGX or what not (and no one there was cosplaying as their favourite Nintendo character or anything like that), but the atmosphere was pleasant, the venue was decent enough inside and everyone was generally polite enough that I never had any issues with sore losers or bad sportsmanship. What I was not such a fan of however was the location. Put simply, it was way too far out of the way for something like this. It was in London, sure. But it was in a part of South London that few people would really visit on a regular basis. This means that even finding the event location was a bit of a hassle for me, and I don’t think I would have been too confident to go there at night either (especially not with Google Maps’ questionable route guidance). So while the event itself was good, I kind of wish Nintendo had located it in a more ‘central’ part of London. Maybe in one of the more tourist focused areas or something. So the event was good. But what about the games? Did they live up to the hype? Yes, with my first game of the day (Mario Kart 8 Deluxe) being a prime example. The racing is fun, the new characters are good (I used King Boo in my second race) and new additions like the double item boxes work fine too. We only get to try out vs races. That’s really odd for this game. Why? Because the vs races (as fantastic as they are) are not really where Mario Kart 8 Deluxe shines. I mean yes, the new characters and item mechanics are okay. And yes, having all the DLC included by default is a nice touch. But the best part of Mario Kart 8 Deluxe is the revamped battle mode. Where you can fight others on retro arenas like Luigi’s Mansion and SNES Battle Course 1. Or try out a revised version of Bob-omb Blast from Mario Kart: Double Dash. That’s the big reason to buy the game if you have it on Wii U. The thing that’s most likely going to be what seals the deal for me. Yet it wasn’t available today. So the bit I was most excited to try out wasn’t present at the event. Still, can’t complain too much. After all, the game was as good as ever, and it does look like a title I’ll be buying in future. Just wish I could try out a bit more of the game’s new features, that’s all. 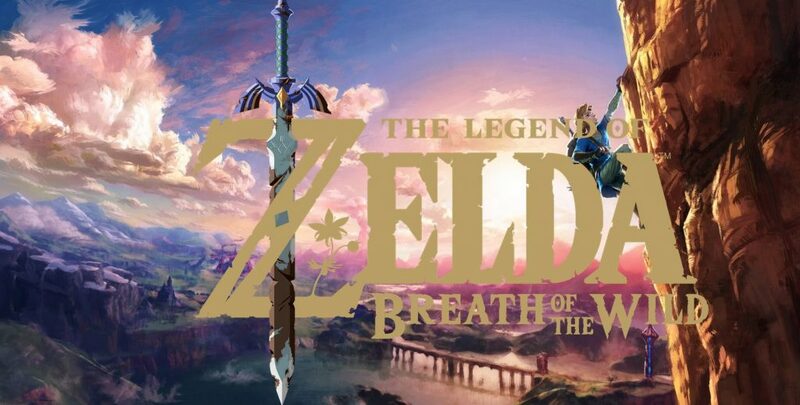 Moving on now, my next game was The Legend of Zelda Breath of the Wild. Well okay, kind of. You see when we came into the event, we all got a card like this. 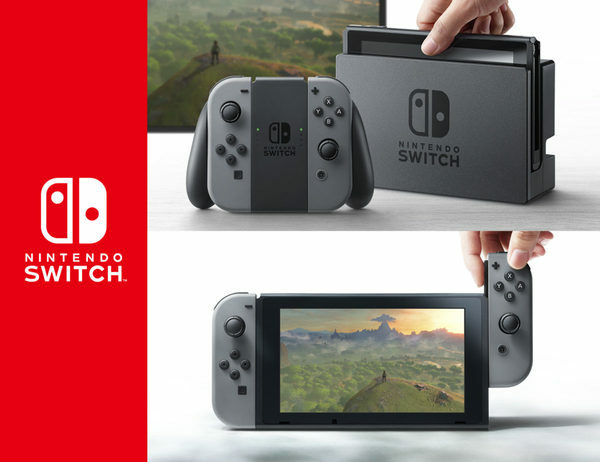 It had our ‘demo’ time for Breath of the Wild on it, with the assumption being that anyone who missed their slot would have to try again at the end of the day. And mine was for 2:50. So while I was technically waiting for another game at the time it was called (ARMS), I wisely decided to rush over to the Zelda demo instead. Cause hey, only a complete moron would go to a Nintendo Switch event and decide not to play the console’s biggest launch title while they were there. Either way, one quick show of the ticket (to a staff member dressed exactly like Link in Breath of the Wild), and I was off to play the demo. So what was it like? Did it live up to my hype? Oh yes. The Legend of Zelda Breath of the Wild (from what I played) was an amazing game. It started off with the usual introduction at the Shrine of Resurrection. I watched Link wake up from his centuries in extended animation, before quickly grabbing some new clothing and rushing out into the Great Plateau like in the E3 demo. Moving on from there, it was off to the usual route. Go down the path to the right, encounter the old man (after ‘stealing his apple’), then grab the axe and go enemy hunting. A few Bokoblins down later (which gave me a free club and bow to go with the axe), and that’s pretty much the extent of the demo. Yeah, it wasn’t exactly a huge taste of the game. But it was enough of a taste to tell me that yes, I do want to buy Breath of the Wild when it’s released. The game looks amazing, the game controls amazing, and well, from what I’ve seen in the trailers and previews for it, the game gets ten times better the minute you leave the Great Plateau as well. A true Nintendo Switch classic all round, and perhaps the most enjoyable game of all at today’s event. But hey, enough about Zelda for a minute. What about ARMS, Nintendo’s new competitive fighter for the console? Well from what I’ve played, that’s pretty good too. Perhaps not the kind of game I’m best suited for playing (since hey, I really struggle with fighting games in general). But a fun experience none the less, and one that I feel could definitely offer up a competitive scene in a few months time. So first things first. How did the game’s controls work? Put simply, you hold one Joy-Con in each hand (as if they were your fists), and pretend you’re punching someone to attack with that hand. Two hands forward at once acts like a grab, with a tilt moving your character around and L and R being used to jump and what not. It’s a pretty interesting setup, and it kind of feels like Punch Out with springs if you ask me. Also interesting were the characters here. Some (like the typical boy and girl characters Spring Man and Ribbon Girl) were clearly meant to be the Jack of All Stats. Mechanica and Master Mummy were the power houses, with higher strength and surprisingly little change in their actual agility. And then there’s Ninjara. Yeah, he’s pretty overpowered. Why? Because he can actually teleport when he blocks an attack. Indeed, he’s so clearly the best character in the game that the actual booth attendant guy outright called him overpowered before we started playing the actual game! 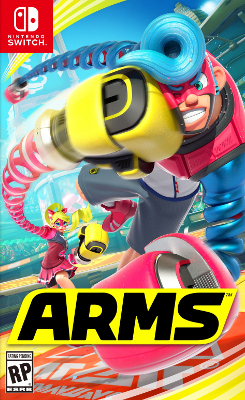 So yeah, I think he’s probably be the ARMS equivalent of Meta Knight or something. The character everyone loves to play for his brokenness but who’s absolutely loathed by anyone maining someone else. Either way, I got curbstomped in this game. Which I guess kind of makes up for me beating the hell out of everyone else in Mario Kart 8 Deluxe. Guess you win some and lose some! Next on the agenda, was this title. There were three mini games on offer (a cowboy staring match one, the infamous cow milking one and a rather dull game where you had to figure out how many balls were in a wooden box by tilting it around). Out of these I played two: the wooden box tilting and the cow milking ones. And they were… okay. Nothing that I’d probably come back to time and time again (since you’ve figured out everything there is to see in about 20 seconds). But decent enough mini games none the less. Honestly though, I think this game works better when you’re all drunk really. I mean, imagine a bunch of absolutely plastered college kids trying to see who can best milk a cow. The jokes almost write themselves there! However, don’t try that with this game! 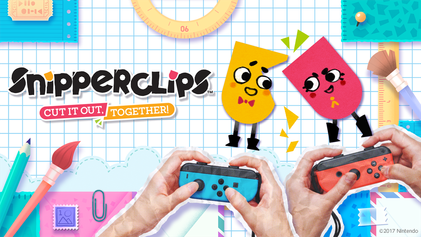 Because as I found out the ‘hard’ way, Snipperclips is one of those co-operative puzzle platformer games that requires both players to be ‘on the ball’ at all times. Sure it’s not complex in terms of aesthetics, and the controls are extremely simple to use as well. But then you need to rotate both character’s sprites to fit in holes in the wall, cut out part of their image to carry balls and objects and jump on each other’s head to reach new heights and what not. And well, if you’re not exactly friends/on good talking terms, that means you’re likely to make a real pigs ear of everything. Certainly an interesting game, though one that likely needs to be played by two rather determined players sitting in the same room. I ran out of time. Turns out that by the time I’d queued for and played every other game in the room, the session time had run out. 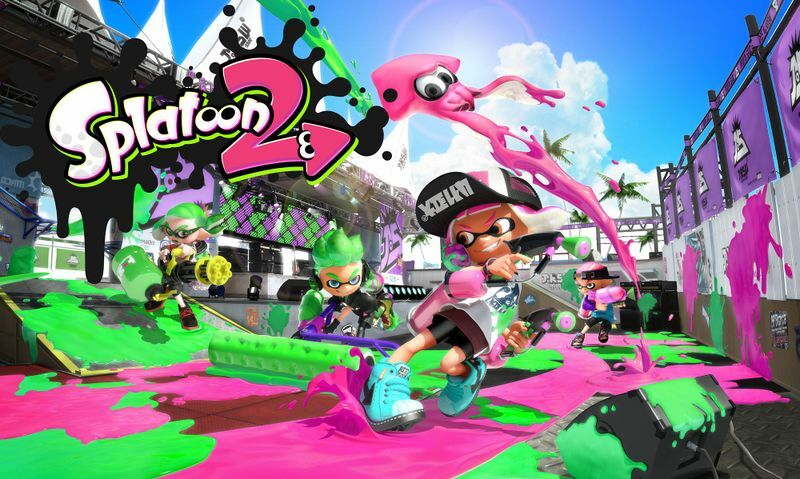 So despite being interested in trying out Splatoon 2 for myself (and wanting to make up for not playing the first game), I missed my shot here. 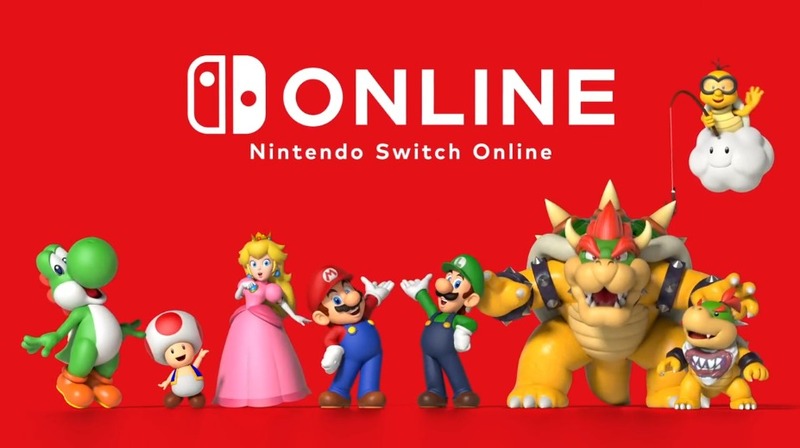 Ah well, maybe I’ll get the game when the Nintendo Switch comes out. Assuming I have any money left after the console, Zelda, various accessories and all the other titles I’m interested in at the moment. 1-2 Switch: 7/10. Mini games I played were quite fun, would need to play the rest to give a better score. With Super Mario Odyssey being a day one purchase when it’s released later in the year. Either way, there’s certainly enough on the Switch to get me to buy it, and today’s event just backed that up. So thanks Nintendo. 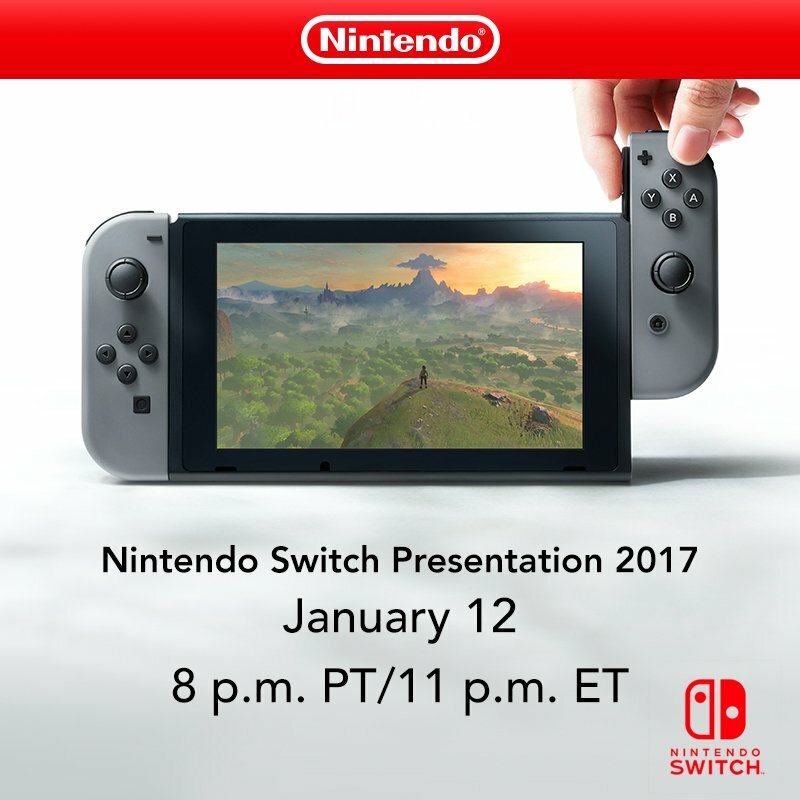 Today’s Nintendo Switch event was fantastic, and it’s made me extremely excited to buy the console and games in a few days or so. Hope there’s another one with Super Mario Odyssey present sometime down the line!